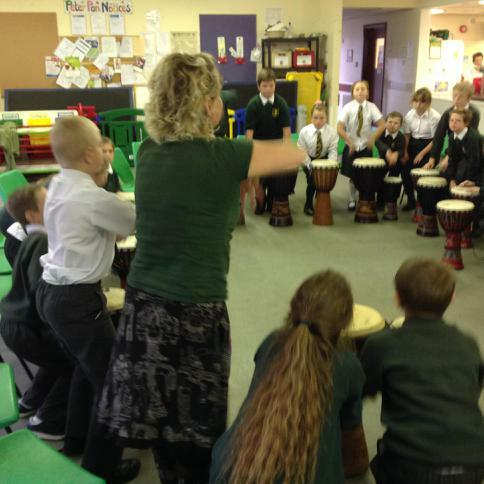 Year 1 love their African drumming lessons. 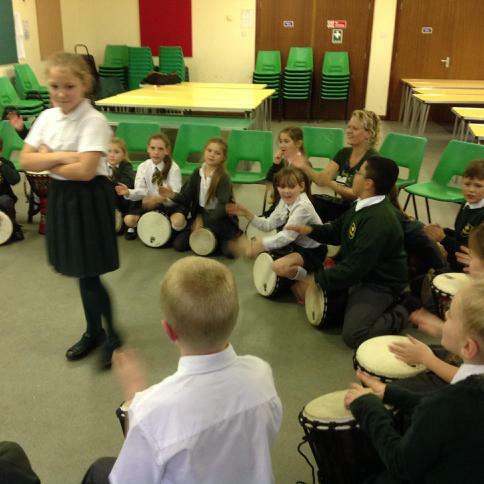 Year 4 getting into a rhythm during African drumming lessons. Great fun! 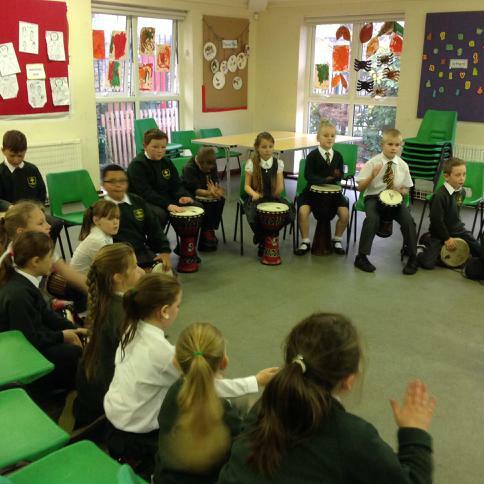 You get to do this musical activity twice at Keyham Barton.